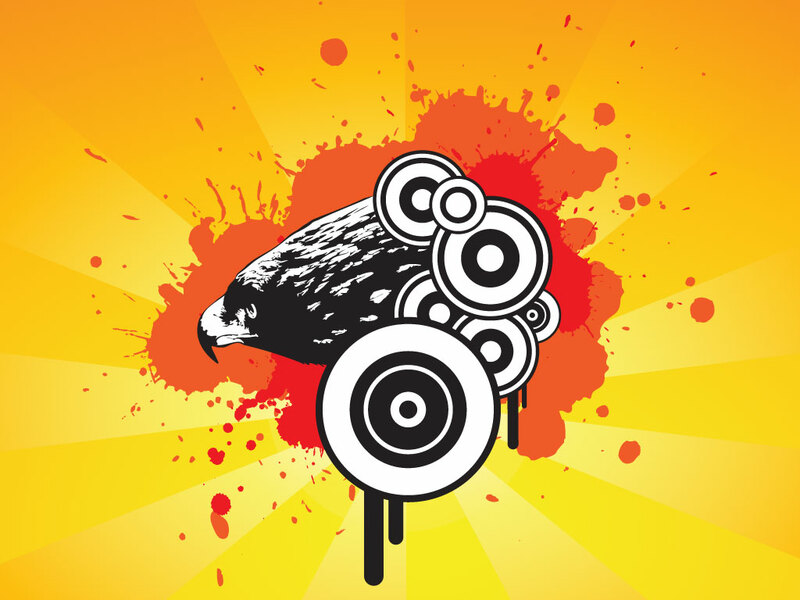 A modern eagle design with splatters and shapes. Use this a center piece for a shirt design or transform it into your own abstract creation. Tags: Bird, Eagle, Feather, Fly, Freedom, Glory, Hunt, Mascot, Power, Tattoo, Victory, Wild.